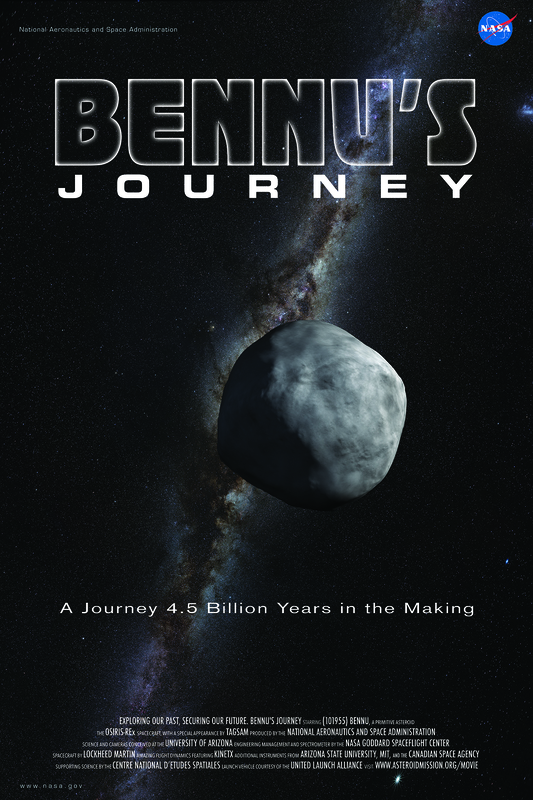 This week the OSIRIS-REx project released Bennu’s Journey, a movie describing one possible history of our target asteroid – Bennu. The animation is among the most highly detailed productions created by Goddard’s Conceptual Image Laboratory. It is the result of an exciting collaboration between the OSIRIS-REx Science Team, Walt Feimer and Michael Lentz, from the Goddard animation team, and writer/producers Daniel Gallagher of Goddard Media Studios and Michael Starobin. It is another great example of the intersection between art and science. The OSIRIS-REx team brought the scientific perspective to the project and the Goddard team brought the creativity and artistic sense. The result is a movie that is grounded in science but captures the epic feel of four-and-a-half billion years of solar system history – as experienced by one special asteroid. Bennu’s Journey is a 6-minute animated movie about NASA’s OSIRIS-REx mission, asteroid Bennu, and the formation of our solar system. Our timeline of Bennu’s Journey is based on real scientific data and analysis. The data is derived largely from our extensive astronomical campaign to characterize Bennu. We combined these data with cosmochemical and dynamical models of the solar system to develop the hypothetical timeline for Bennu’s formation and evolution. In this article I will discuss the various scientific ideas that were combined together to develop the script for Bennu’s Journey. We infer the earliest history of Bennu’s components based on its spectral properties. Beth Clark and her colleagues analyzed the visible and near-infrared spectra of Bennu to constrain composition. This work suggests that the hydrated CI and CM chondritic meteorites are the most likely analogs for Bennu. We use this spectral connection, along with our extensive knowledge of these meteorites, to establish the earliest part of Bennu’s timeline. These samples represent some of the most primitive material from the early Solar System. Their oldest minerals actually predate the formation of the solar system. We call these materials “presolar grains” because they formed in the outflows of dying stars such as red giants or supernovae, long before our solar system existed. The Crab Nebula is a supernova remnant, where dust grains are condensing from the elements that use to make up the star. The presolar grains are injected into the interstellar medium and ultimately incorporated into giant molecular clouds. We can gain some insight into the chemical processes that occurred in this environment by looking at the rims that surround the presolar grains, which are composed of distinctly different materials than the cores. For example, in some research that I did with Scott Messenger and Lindsay Keller, we identified olivine grains from a supernova that was partially encased in organic matter. We determined that the organic-rich rim likely formed in a presolar cold molecular cloud when the olivine accreted ice mantles and organic compounds. The ice has long since sublimated, leaving the organic residue behind. Dust grains from supernova and other dead stars accrete mantles of ice and organics inside giant molecular clouds. The solar system is thought to have coalesced from a giant rotating cloud of gas and dust, known as the solar nebula, about 4.56 billion years ago. Conservation of angular momentum prevented all of the material from falling into the center of the cloud. Instead, a disk of gas and dust formed surrounding a young protostar. Evidence from meteorites and dynamical modeling of supernova shock-wave propagation into giant molecular clouds indicate that a supernova explosion compressed parts of the cloud, causing this region to collapse. The shock wave would also have injected material from the exploding star into the solar nebula. 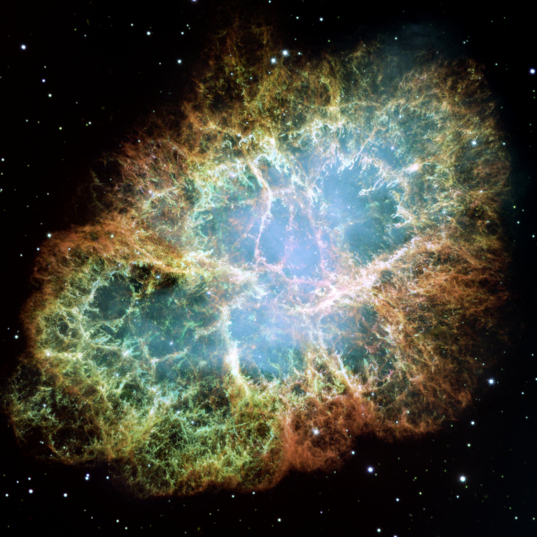 We have detected evidence of this material in the form of the decay products from radioactive isotopes, particularly iron-60, which can only form in the giant stars that end their lives as supernova. Angular momentum causes a collapsing molecular cloud to form a disk of gas and dust – the birth place of planetary systems. The most primitive meteorites, chondrites, have textures that suggest formation by accumulation of material that was freely floating in the solar nebula. In a sense, they can be viewed as sedimentary rocks that swept up material in specific regions of the early solar system. Chondrules are major components of these meteorites. The shapes, textures, and mineral compositions of chondrules suggest that they are crystallized molten droplets that were floating freely in space. The heat source for chondrule melting has been an area of active research for many decades, and many competing models exist. A leading theory is that nebula shock waves driven into the inner solar system by Jupiter melted the chondrules. Lately, a lot of research has focused on impacts between planetesimals as the origin of the melt droplets. For certain, these millimeter-sized spheres comprise the bulk of most meteorites, implying that the process was widespread and central to solar system evolution. The most primitive meteorites are comprised of millimeter-size chondrules embedded in a matrix of fine-grained dust. Image shows the Semarkona meteorite with a field of view of 1.5 cm. Planetary science has been challenged by the need to produce planetesimals made out of the meteorites we have in our collections. We expect that most meteorites originated from 100-km-radius objects, each composed almost entirely of millimeter-sized components with well-defined properties, but distinctly different from one to another in terms of chemistry and mineralogy. It is likely that aerodynamic effects dominated the evolution of the main meteorite constituents, including chondrules. Turbulent eddies in the protoplanetary gas are though to have concentrated these grains into the first asteroid-sized objects. This process aerodynamically size-selects particles by orders of magnitude. 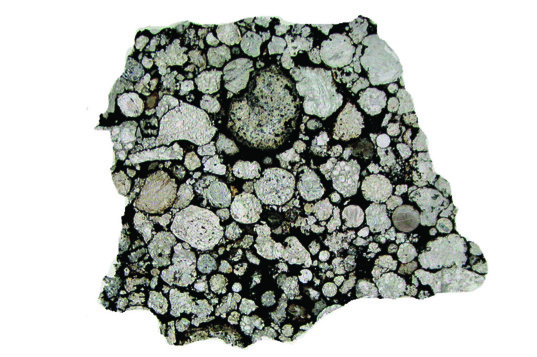 This effect, combined with several million years of nebular evolution, may have resulted in the distinct size distribution and composition of the various chondritic meteorite classes. Based on the mineralogy of the CI and CM carbonaceous chondrite, we infer that the next stage of Bennu’s history involved geologic processing in the interior of a large asteroid. Bennu is probably a fragment of a large main-belt asteroid (~100 km in diameter) that was shattered in a catastrophic collision. Bodies of this nature formed within the first ten million years of the earliest solar-system solids. A 100-km asteroid is large enough to retain substantial heat from decay of short-lived radioisotopes injected from the supernova, driving geologic processes such as hydrothermal alteration. These processes may have persisted for tens of millions of years before Bennu’s parent asteroid became geologically quiet. Over the past decade, a new idea emerged in planetary science related to the formation of the giant planets – this idea is known as the Nice Model, named after the city in the south of France where it originated. In this model, the four giant planets (Jupiter, Saturn, Uranus and Neptune) formed on near-circular orbits more closely spaced and more compact than in the present solar system. After several hundreds of millions of years of slow migration, Jupiter and Saturn entered into an orbital resonance – where Jupiter orbited the sun twice for every one orbit of Saturn. This resonance made their orbits more elliptical and destabilized the entire planetary system. As Jupiter and Saturn migrated, their orbital resonances swept across the asteroid belt, pushing asteroids into the inner solar system, causing a late heavy bombardment that is recorded on the surfaces of the Moon, Mercury, and Mars. Migration of Jupiter may have sent thousands of asteroids on collision courses with the planets of the inner solar system. Small asteroids like Bennu cannot survive the long history of the solar system as distinct objects because the Yarkovsky effect pushes them around so efficiently. Thus, Bennu is likely the product of a relatively recent catastrophic asteroid collision. 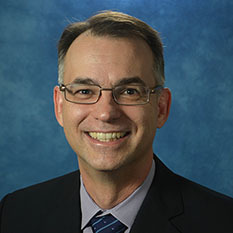 Kevin Walsh and his colleagues combined dynamical and spectral information to identify the source region of Bennu in the main asteroid belt. By analyzing the dark asteroids of the inner Main Belt, they find that Bennu likely originated from either the Eulalia or the “new” Polana asteroid families. These analyses indicate that the Eulalia family formed when a 100–150-km asteroid was shattered between 700–1500 Myr ago. The new Polana family is more extended and 1000–2000 Myr old. Either of these families could be the source of Bennu. Bennu formed by the reaccumulation of smaller fragments from this collision, leading to a rubble-pile structure. Bennu is likely a fragment of a much larger asteroid that was shattered hundreds of millions of years ago. Bennu was almost certainly delivered from the inner region of the main belt following the well-studied dynamical pathway from the Main Belt to near-Earth asteroid orbits. Asteroids with retrograde rotations, like Bennu, drift inward as a result of the Yarkovsky effect, while prograde rotators will move further out into the Solar System. Bennu appears likely to have come from the ν6 secular resonance that defines the inner boundary of the main belt. This resonance is not only the dominant supplier of near-Earth asteroids, but it tends to be very good at producing those that have Earth-like orbits, such as Bennu. Once in the inner solar system, Bennu and other near-Earth asteroids are on unstable orbits. They repeatedly experience close encounters with planets like Earth or Venus. These interactions substantially change their orbits. Ultimately, most near-Earth asteroids fall into the Sun. However, many also impact the planets and Jupiter ejects others from the inner solar system. Because Bennu is a rubble-pile, planetary encounters may have produced sufficient planetary tidal torques to repeatedly stretch and reform Bennu, turning it inside out and pulling off loose material. The timeline that we have laid out for Bennu is one of many possible histories. Each aspect of this journey is based on assumptions, models, and best guesses. This outline provides the fundamental framework that defines the OSIRIS-REx science investigation. We will test each one of these ideas, and many more, as we study Bennu up close with the instruments on our spacecraft and ultimately through detailed analysis of the returned sample. Will all of these ideas stand up to this scrutiny? Definitely not! After all, if we knew the answers, we would not need to fly this mission. Just like every other planetary exploration mission has surprised us in some way, we should expect similar great discoveries from Bennu.